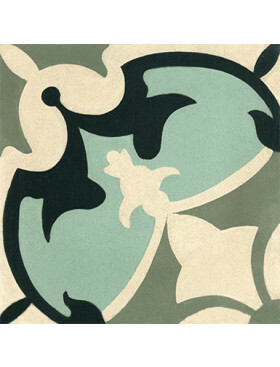 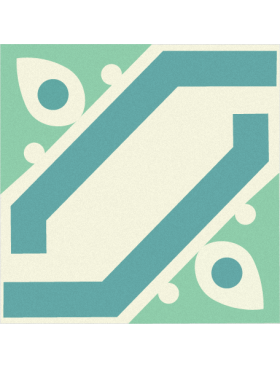 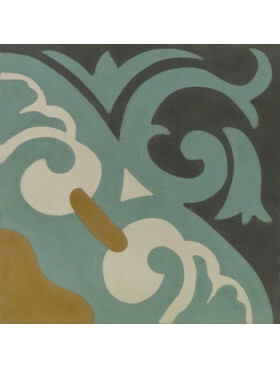 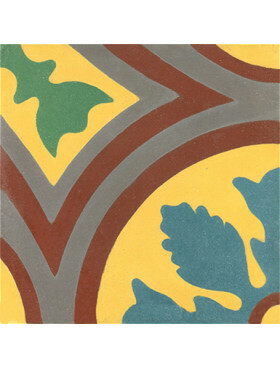 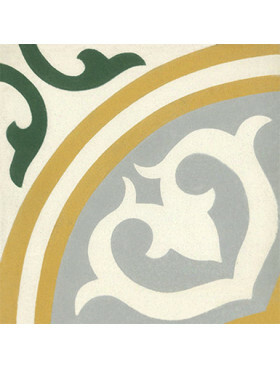 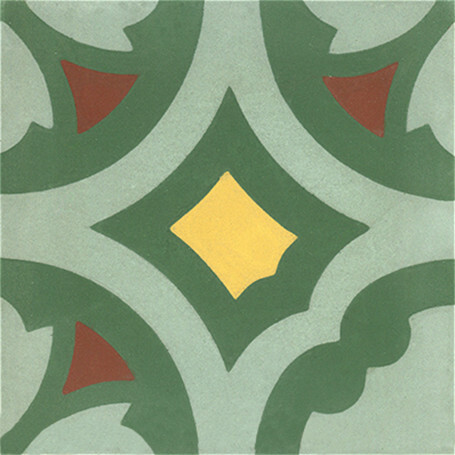 Buy the Laredo pattern cement tile at Tango Tile. 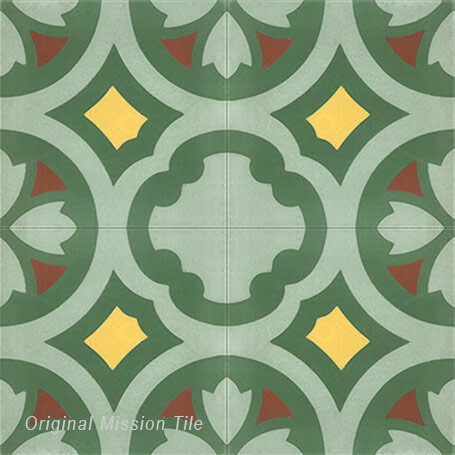 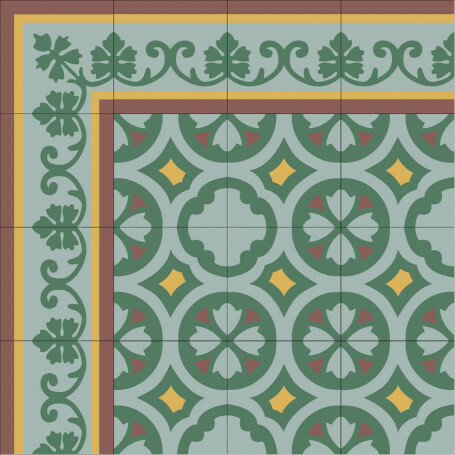 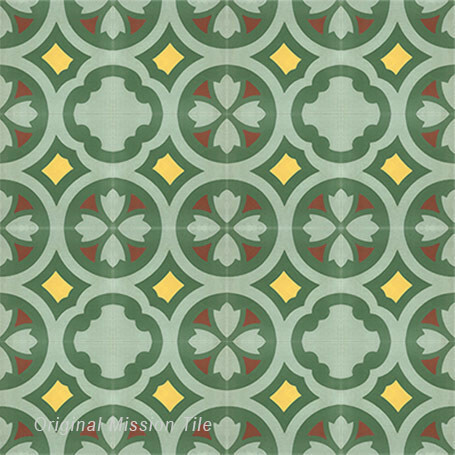 From Original Mission Tile, Laredo-04 is 4-piece pattern in Sage, D'Hanis Red, Verde Canada, and Gold. It comes standard with a "regular" finish used for indoor spaces, but can be ordered in either a "rough" or "relief" finish appropriate for indoor or outdoor spaces.